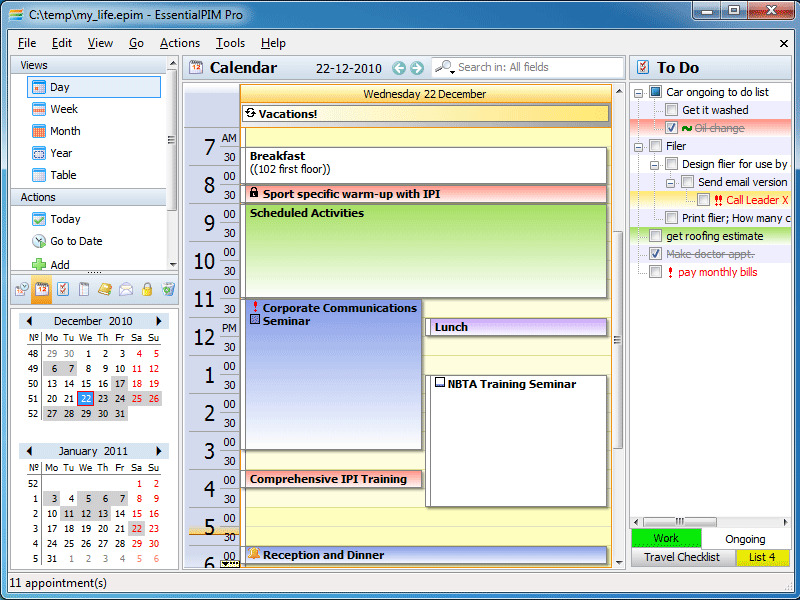 ssentialPIM Pro Portable is a personal information manager that makes it easy to control your appointments, to-do lists, notes, password entries and contacts. In addition, the program offers portability, speed, intuitive interface, and the ability to synchronize all your information with Outlook and practically any online service available (Google, Yahoo, etc.). Works straight from your USB flash drive.